Vivek Anand Oberoi's looks from his upcoming film, a biopic on PM Narendra Modi, are out now. 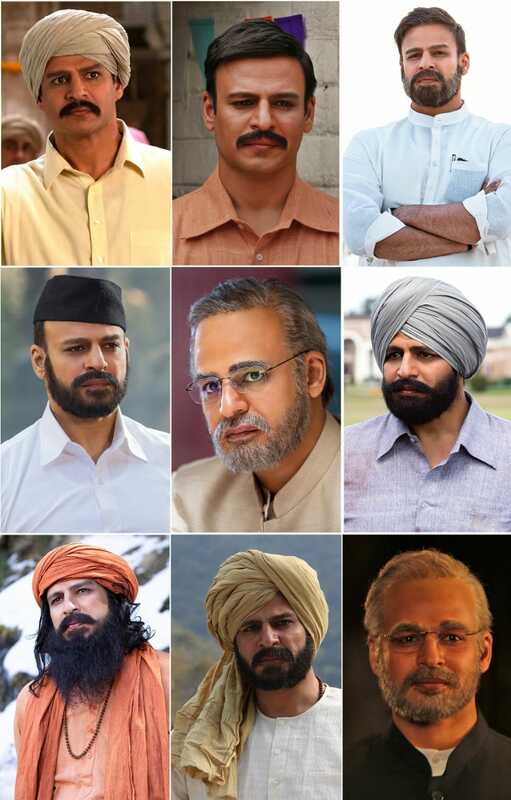 These different looks depict the phases, struggles, and passion of the common man as the film traverses the journey of Narendra Damodardas Modi from his humble beginnings to becoming the Prime Minister of India. A source informed us, "Highly dedicated actor Vivek Anand Oberoi gets up 2.30 am in the morning each day goes under the process of 7 to 8 hours make up and is on the set by 8 am ready to shoot. Due to prosthetics, the actor can only consume liquids throughout the duration of the shoot (in a day)." Speaking how Vivek aptly fit the role, producer Sandip Ssingh said, "I wanted a versatile actor to play this role, Vivek made an unconventional debut with Company and also gave Saathiya in the same year. I wanted the actor to give me one year of his life before the shoot begins because the films range from the year 1957 to 2019 in order to understand the journey. Vivek gave 15 look tests that needed 7-8 hours of make up each day. When an actor shows such dedication for the film, the filmmaker and the whole crew were extremely enthusiastic and encouraged to make the film." Apart from Vivek, the film features actors Boman Irani, Manoj Joshi, Prashant Narayanan, Zarina Wahab, Barkha Sengupta, Anjan Shrivastav, Yatin Karyekar, Rajendra Gupta, Akshat R Saluja,Jimesh Patel and Darshan Kumaar in important roles. Produced by Suresh Oberoi, Anand Pandit, and Acharya Manish, the film is directed by biopic maestro Omung Kumar and will be releasing on April 12, 2019.